Hey good morning or good afternoon or good even earlier morning wherever you are listening. 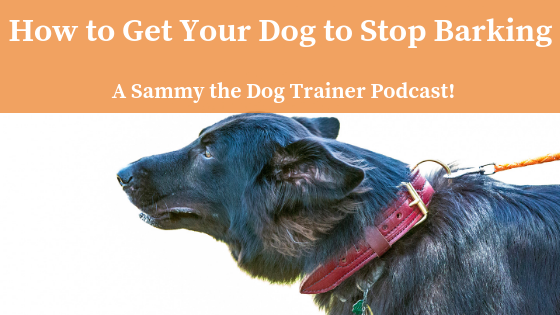 I’m Sammy the Dog Trainer and you’re listening to my podcast on Life with Real Dogs. I sent a shout out asking for questions my listeners want to know about on my Facebook page, Camp Sammy. If you have questions you’re dying to know about or you just want to listen to me drone on about for a spell, you can send me a message on my Camp Sammy Facebook page, or through my website sammythedogtrainer.com. You can also email me at Sammythedogtrainer@gmail.com or hit me up on twitter @SammyDogTrainer…there’s no the in that one. For some reason I could only be Sammy Dog Trainer on Twitter. Anyways, Kim from Vandalia Ohio writes “How do I get my dog to stop barking at the door?” Kim, that is a million dollar question. Actually it’s not, but the dog trainer wishes it was. 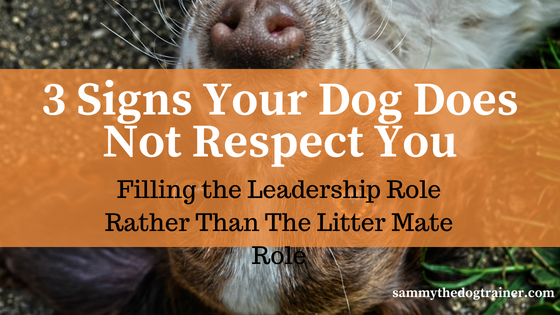 So Barking is a pretty complex behavior and it actually holds quite a bit of meaning for a dog. In the wild it would serve as a warning for packmates that something suspect or potentially dangerous was around. 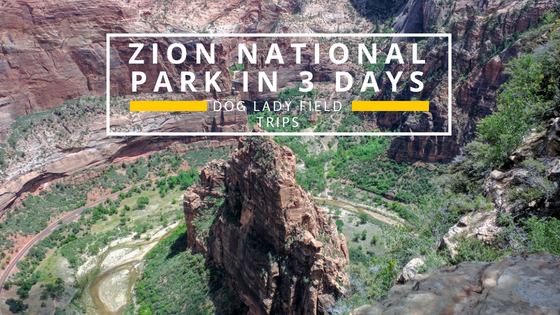 They would echo their packmate’s or other dogs’ warning barks to get the word out, successfully providing a bit of a safety net for their pack. That is one of the major reasons I do not tell people to punish barking right off the bat. It feeds a very natural need for your dog to protect his or her family. 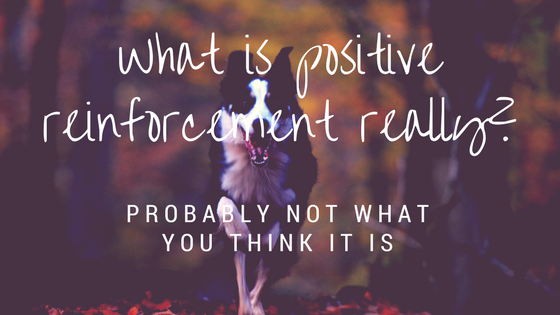 Discouraging all barking could possibly lead to other behavioral complications and it is sending the message to your dog that you don’t value his or her love or esteem for your pack. However, and that’s a big however. Barking neurotically is not healthy and it’s actually quite a common problem. With any neurotic behavior, it’s a cycle or an ouroboros if you will. That’s my little academic nerd coming out. The dog does something and by doing whatever that something is, he or she feels a sense of accomplishment or perhaps even emotional release. This is a positive enough outcome for them to do it again. And again. And again. Which, obviously, is not only unhealthy for your dog but it’s super annoying. So I like to teach my dogs the command “Quiet.” And you’re like that’s nice, Sammy, I try saying Quiet to my dogs and they look at me like I have five heads, and they keep barking. So we have to teach our dogs what the word Quiet actually means. In order to do this, you are going to need a humane corrective measure. 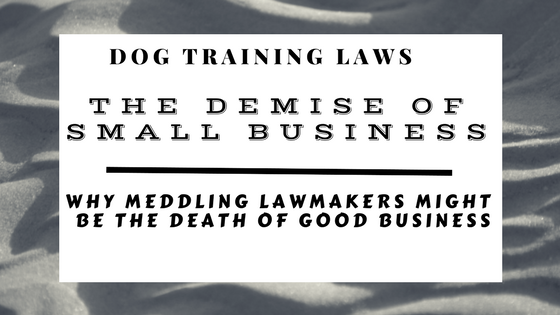 If you have listened to my Dog Training video lecture, which you can find a link to on my website, sammythedogtrainer.com, you would know for an undesirable behavior, we correct, and then we replace. Ok, so what does that mean? 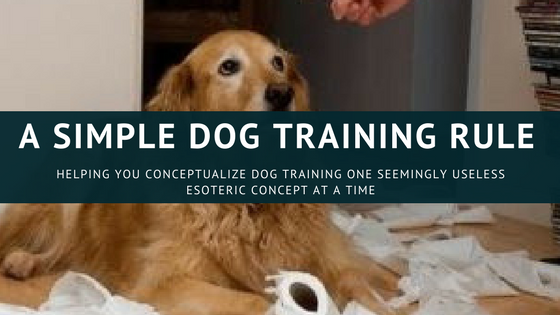 In practice it means, your dog starts barking, then you loudly and clearly, very enunciated, say “Quiet.” Now your dog is probably not going to know what to do at this point, so you bust out your corrective measure and you say NO, very abruptly and also with volume, at the same time you use the correction. Now, I like sound corrections for this particular type of behavioral problem not only because they are super effective on most dogs, but because they are also super humane. A sound correction does not hurt your dog in any way…it doesn’t even touch them. Ok, Sammy, what do you mean by a sound correction? 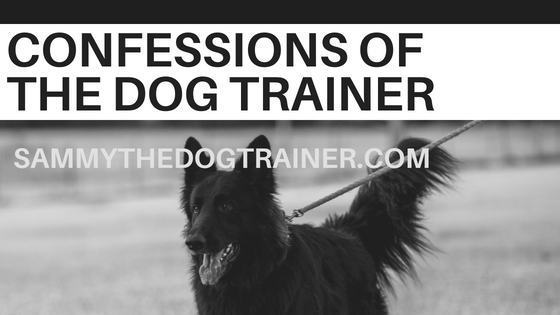 There are a couple go-to’s in my dog trainer tool belt that I like. The first one is Pet Corrector, that’s the brand name you can find on Amazon or Pet Supermarket (it’s also listed under the Recommended Dog Products Section of my website). It’s basically compressed air. In a pinch you could use a computer duster or some of the other pet store chains have similar things called by other names. It makes a huge hiss noise. 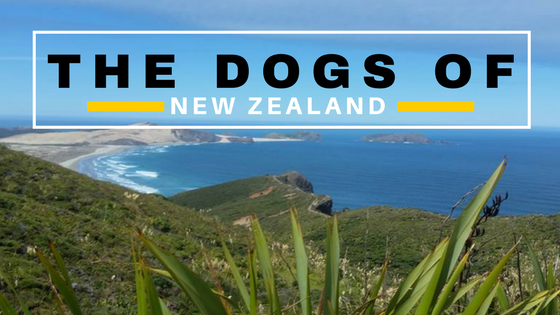 There is another device you can buy online through my website (I get a small affiliate marketing fee at no extra cost to you…take pity on the dog trainer). This one is called the Doggy Don’t. It makes a crackly sound kinda like a taser but it doesn’t actually tase anything, which is nice if you have a household full of kids. Oops Johnny accidentally tased Susie…not a good scenario for anyone. Anyway with this device you press a button and it makes a similar sound. In a pinch the cheapest one is an empty soda can with pennies in it. Use a metal soda can because the clang sound is better. I use pennies because I’m cheap but if you’re feeling super fancy by all means use dimes, nickels, quarters if you can fit them. When I use this corrective measure I shake it like I’m going to bite them in the face with it. Not some puny shake shake, no like you are going after them. But don’t actually hit your dog with it because that’s mean. Ok, so now we have some tools to try. This is how we do it. Dog starts barking. You command, in your commanding voice, Quiet. Your dog does not be quiet. Then you bust out your corrective measure and you say NO at the same time you use it. Repeat Quiet again. Now the sound correction usually startles your dog enough that he is quiet for a moment. Praise that moment. Good Quiet. Reward him for being quiet. If he starts barking again, NO and your sound correction. Then give him the command Quiet again. What the sound correction effectively does is breaks your dog from keying on whatever sound they are barking at and also breaks them out of a dangerous or unusable high energy zone. The zone you need your dog in to work with him or her is below this super high energy, keyed up zone. Sound corrections are pretty darn effective at busting them back down into a workable energy zone. Your dog is going to start understanding what the word Quiet means pretty quickly. Eventually if you keep following this pattern, when you say quiet, your dog will stop barking. Tada! Now there are passive ways of correcting barking, but as a dog trainer, they are not my favorite. It’s because they correct barking at all, and like I said before, it is natural for a dog to bark some. However, using passive methods when you can’t be home or paying attention to your dog are sometimes effective. And if you don’t use them day in and day out, you won’t do any psychological damage to your dog. Now by passive, I absolutely do not mean debarking your dog. Debarking is a heinous surgery where the vocal chords of the dog are surgically rendered inept. This is not only extremely lazy, but it’s evil and I don’t know a veterinarian who would do such a surgery without a reason like throat cancer. Thankfully I have not seen any debarking cases in the past couple decades. Yay humanity moving forward. No, by passive I mean either a NON SHOCKING bark collar or an ultrasonic bark box. The bark collar can be quite therapeutic for some dogs who are stuck in a neurotic barking cycle. What it does usually is give a warning beep or two and if the dog keeps barking, it vibrates. The vibrate doesn’t hurt them, but it weirds them out. 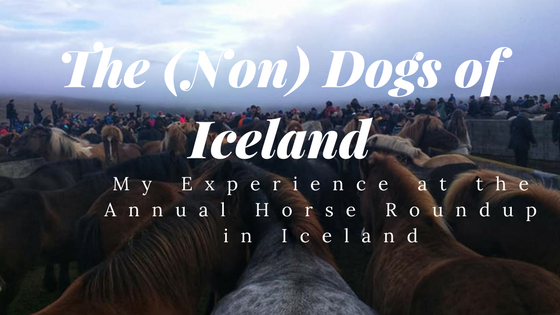 I’ve seen dogs bark through this, but not too many. It’s usually pretty effective. Now, my friend accidentally bought a shocking bark collar, not knowing the difference. Here’s what happened. Chloe barked and barked then Chloe got shocked. Chloe yelped then Chloe got shocked again, and then she yelped again. You can see problem here. We had to chase her around the yard trying to catch her to get the offending collar off, all the while she is yelping and running. It was not a great moment. Had I checked the collar for her before she put it on, I would have seen the metal rather plastic tips of the collar. Usually the shocking collars have metal tips and the non-shocking ones have plastic or rubber. Now this is just for bark collars not electronic collars with a remote, just fyi. Those are different. So a barkbox which you can also get online through my website, basically detects barking and then emits an ultrasonic sound. We as humans can’t hear it, but your dog can. It’s uncomfortable, and I’ve seen it work on some dogs and not others. So it depends on your dog whether or not it’s going to work. So to recap, to get your dog to stop barking, it’s going to require some work on your part if you choose to take my advice and teach them the command Quiet. Check out some sound correction measures to help you do this. So remember, it’s Command, then reward if they do it, or correct if they don’t. So No, say No, and blow the air or shake the can or whatever method you find works for your dog. Then when they pause in their barking, tell them Good Quiet. And then we also talked about a few passive methods. Sometimes people who live in close quarters like apartment complexes find them useful for not annoying their neighbors with their dog barking while they are at work. So there you have it in a very condensed sort of way for this podcast. If you have questions you would like me to tackle on this podcast, reach out to me on my website, Facebook at Camp Sammy, Twitter, no the because Twitter is weird, or sammythedogtrainer@gmail.com. Thanks for listening and generously supporting veteran owned small business. I’m Sammy the Dog Trainer. Cheers!